On the Side is full of ideas for side dishes made from beans and pulses — a genre that (*adopts Rick Stein voice*) I just don’t think we eat enough of in Britain. I also suggest in the book that it’s really not that much of a hassle to soak beans and pulses overnight (or during the day) and cook them from scratch; and that they taste much better like this, so of course we should do that. Without question. Full stop. There is an exception to that rule, though, and that’s Navarrico Judion beans. Also known as posh butter beans. These beans are so good: plump, tender, creamy, savoury, buttery (obviously), and ready in seconds. They’re smooth and silky and can absorb aromatics, but their own flavour is enjoyable in its own right — the ideal mix of support act and leading light. My suggestion for them in On the Side is that they’re warmed gently with thinly sliced courgettes before mixing through a tapenade. Great with white fish, pink oily fish and more. Of course you knew that already because you’ve bought the book. But I also recently used them in a recipe for Borough Market’s magazine, Market Life, which is set out below. On this occasion, the beans are added to diced fennel, which has been sweated and softened and then emboldened by garlic, manzanilla, lemon juice and peppery olive oil. The sweet anise of the fennel, and the crisp, dry sherry add layers and layers of interest, and then the icing on the cake, mojama (air-dried tuna) brings a wallop of salt and umami. Just needs crusty bread to go with it, maybe a crisp green salad. Or, again, it’d be an excellent side dish for some white or oily pink fish. More on the beans in this piece for Market Life, now online. Remove the top stalks from the fennel bulb, reserving the firm part to add to stock on a future occasion, and the herby fronds to garnish this dish. Then cut the bulb intro 5mm thick slices and those slices into 5mm dice. Pick the parsley leaves from their stalks, chop into a dust and put to one side, then chop the parsley stalks very finely. Place a medium-sized saucepan over a low-medium heat. Add the light olive oil, fennel, chopped parsley stalks and a pinch of salt. Gently sweat and soften the fennel for 4-5 minutes, then add the garlic slices and cook for 1 minute more. Turn the heat up and after 10 seconds pour in the manzanilla. Allow the alcohol to reduce for 20-30 seconds before pouring in the beans and the flavoursome water from their jar. Warm the beans through for 4-5 minutes, taking care not to let them boil or turn to mush. To finish stir in the chopped parsley and add the lemon juice. Check whether any salt is needed, then decant into a serving dish or onto individual plates. Drizzle over a generous amount of extra virgin olive oil, scatter fennel fronds if you have them, and lay the thin slices of mojama over the top. 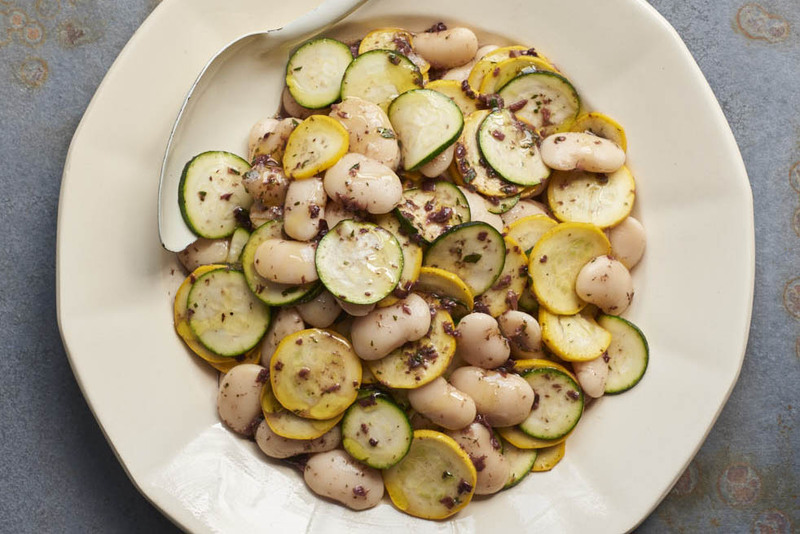 Enjoy the beans as a lavish side dish, or on their own with some crusty bread and perhaps a crisp green salad.